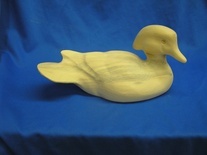 Thank you for your interest in Dux’ Dekes Decoy Company. 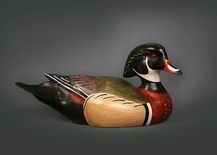 Since 1987, we supply the finest quality decoys and carvings to carvers and painters around the world. 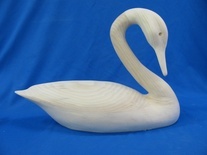 We use Eastern white pine and now tupelo to create our carvings. Each comes to you finished sanded, unless otherwise noted, eyeholes drilled and crystal eyes, colored species specific. Custom carving is available. We can supply your class or seminar. 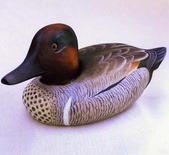 The details in all of our decoys are fine-tuned, accurate, and precise. The high quality and attention to detail make them a work of art to add to your home. 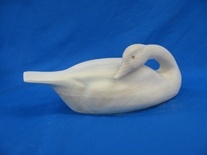 Our wood carving supplies will directly supplement your decoy painting and carving needs, and our Nancy Baur's easy to follow instruction packets are used by beginners, as well as advanced painters. 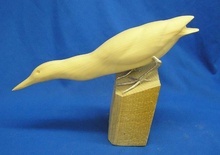 Bruce Burk ranks among the master bird carvers in the country and is responsible for getting thousands of other carvers started. There are many important celebrations throughout our lifetimes: weddings, anniversaries, birthdays, baby showers, retirements. 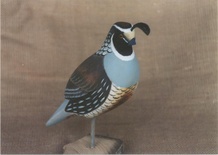 Our beautiful wooden decoys make the perfect signature piece to use for all of those special events. Instead of your guests signing a book that gets put away and soon forgotten, the decoy showcases those treasured family members, and friends that shared in the joy of your special memory. Those cherished remembrances can be put on display for many years to come. 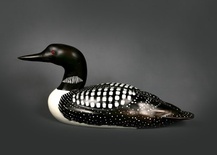 We are showing some of the more popular unfinished decoys and blanks used for signature decoys. 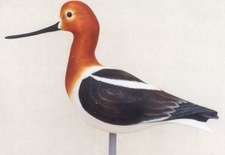 We offer many more species, which can be found under "unfinished decoys"
Time is like a river. because the flow that has passed will never pass again.